In the documentary, GasLand, a Colorado man turns on his kitchen faucet and ignites what comes out of it, blaming nearby natural gas drilling. While this image certainly makes for dramatic movie making, it does precious little for the actual truth (the phenomenon was due to an improperly dug water well and had nothing to do with natural gas drilling). “Fracking” (slang for hydraulic fracturing; the method used to extract shale natural gas) is routinely blamed for adversely affecting water. Not a drop has been grounded in reality. 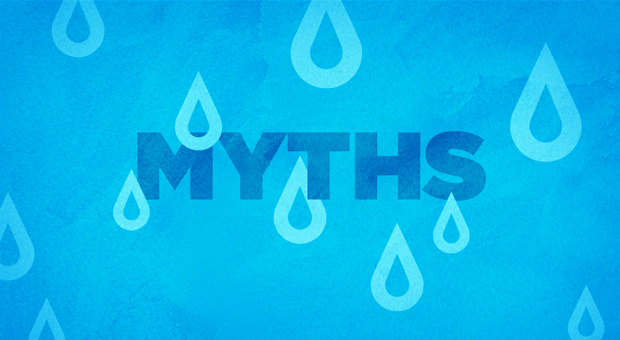 MYTH #1: Fracking strains water resources. Untrue. While fracking fluid is 99.5% made up of water and sand, as a percentage of total consumption, fracking is considered a light industrial user. Of all the water we use, natural gas production utilizes less than 1% of it. Compare that to municipal/public use (82.5%), irrigation (6%), industry/mining (4.5%), and power generation (4%). And far less water than most other sources in our energy mix. Plus, the already heavily regulated industry is innovating and reducing the amount of water it uses, all the time – by improving the fracking process and reusing water when possible. MYTH #2: Fracking pollutes our drinking water. Untrue. Underground water tables exist under a few hundred metres deep, while fracking occurs well below 3000-4000 metres with solid, impermeable rock in between. Properly executed fracturing is high regulated by Environment Canada. That means the industry employs best drilling practices – using pressure-treated steel casings, cemented into place to prevent fluids from migrating into water wells. They also maintain oversight, inspection and enforcement of all existing regulations. If you’d like to share your comments about fracking or natural gas, please add them to the comments below. 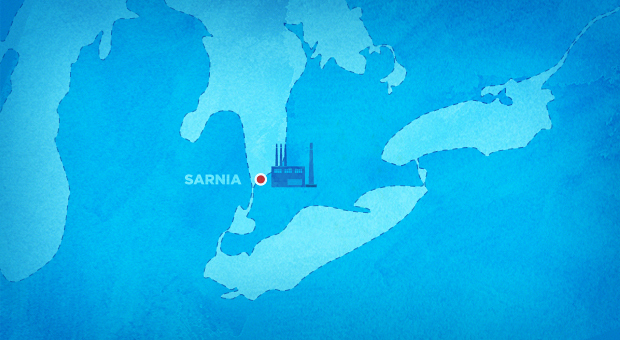 Shell Canada plans to build a small-scale, liquefied natural gas plant (LNG) at its refinery near Sarnia. Once regulatory approvals are secured, their “Great Lakes Corridor Project” will require 50 to 100 short-term construction jobs. But new jobs aren’t the only great story here. With new regulations forcing upgrades to marine emissions systems on an already beleaguered shipping industry (deeply dependent on diesel) the facility has been described as a “game-changing event.” This development will immediately lower fuel costs by roughly 30%. Though the plant is three years off, companies are already taking notice. Montreal-based Canadian Steamship Lines is investigating conversion. Another company is already on board – the Interlake Steamship Company will be converting their existing diesel fleet to cheaper, cleaner-burning natural gas. With a new facility planned for Geismar, La. (serving the U.S. Gulf and Atlantic coasts) and the massive 12-million tonne export plant planned for Kitimat, B.C. natural gas seems to be part of a changing tide. We’d like to hear your perspective on the economic possibilities of converting to natural gas in the comments below. What’s Natural Gas & Where’s It Come From? The short answer: by the time it reaches your stove, furnace or water heater, natural gas is almost pure methane. Usually, it’s a fossil fuel that comes from deep in the ground, formed by pressure, temperature and time. The long answer is really long – millions of years long. Natural gas begins as plant life, animals and microorganisms, most commonly from dried-up, long-forgotten oceans. 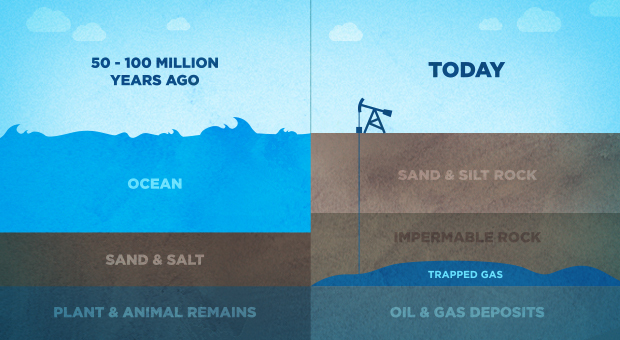 All of this matter would die off and eventually get buried under sediment, mud and rock (that’s why it’s called a fossil fuel) where it would sit under pressure and heat for millions of years. This would break the organic materials’ carbon bonds and transform it into something we all use today. As almost pure methane (one carbon and four hydrogen atoms) natural gas is the cleanest-burning fossil fuel. Once mined in its raw form, natural gas can have impurities and other hydrocarbons in it like propane, butane, and hydrogen sulfide, which are removed as byproducts and used in a variety of useful ways. Although naturally colourless and odourless, gas producers add that distinctive “rotten egg” odour (called mercaptan) so leaks can be easily detected. However, some natural gas doesn’t come from pressure, heat and time. Ontario could add to its energy mix with biogenic methane, also known as biogas. In this process, methanogens – tiny methane-producing microorganisms – break down organic matter from biodegradable waste to produce natural gas. Landfill gas is a great example, where new technologies are being utilized to harness this renewable resource. Although many jurisdictions are turning to biogas, the province isn’t moving forward on it at this time. To learn more about how it gets to your home read our previous posting The Journey of Natural Gas. You can also let us know your thoughts below. Community arenas, university sports facilities, and even NHL teams have already converted to natural gas ice surfacers. Why? Converting Canada’s machines (the biggest names being Olympia and Zamboni) to natural gas presents a sizable and sensible cost-cutting measure. (Generally, rinks can enjoy up to a 65% savings versus propane.) Considering the number of arenas across Canada, these conversions represent a tidal change and significant cost savings. Although most ice surfacers are fueled by propane, there are even some that operate on gasoline – which, as you can well imagine, is an antiquated and far dirtier option. Many aging technologies exist that need to be brought up to date. Cash-strapped municipalities, for a simple operational expense of only a few thousand dollars for a natural gas retrofit kit, can begin recouping their costs almost immediately. Plus, the arena’s existing natural gas lines would be outfitted with a refueling appliance that can be rented from their nearest utility. The ability to refuel their machines “right from the tap” cannot be underestimated. Firstly, natural gas literally halves fuel consumption, so it’s far more efficient than propane. This also spares arenas from the nuisance of having to order, stock, and store a multitude of propane tanks (most consume 200-300 tanks annually). And because natural gas cylinders are mounted to machines permanently, they also spare the hassle and strain of switching out heavy propane cylinders. If larger NHL arenas are leading the way – smaller community rinks can’t ever be far behind. Has your neighbourhood arena made the switch? Can you think of other types of municipal services that could benefit from converting to natural gas? Let us know in the comments below. Connelly, K. Community ice rinks turning to natural gas-powered Zambonis. ERI Case Study. 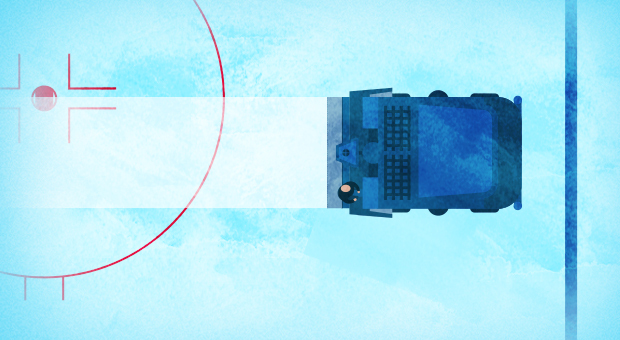 Natural Gas Zamboni: It Clears the Air While It Clears the Ice.